Cristopher Cichocki is a visual artist and experimental composer who lives and works in the desert of Southern California’s Coachella Valley. 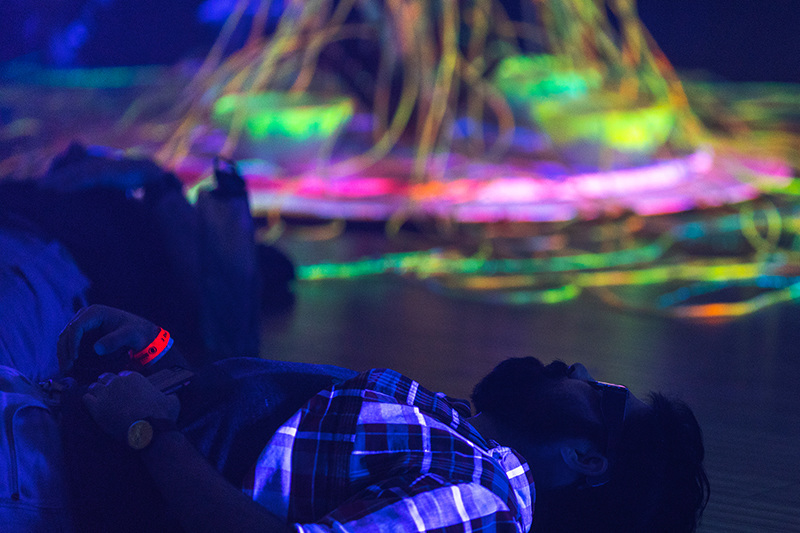 Circular Dimensions is Cichocki's ever-evolving performance and installation that explores mutative intersections of art and science within an immersive multi-sensory experience. Cichocki's ambient and drone-based compositions are presented in combination with a live laboratory of “microscopic video paintings” performed by scientists through digital microscopes. The audiovisual alchemy of Circular Dimensions generates a meditative synergy, shifting through transcendent dimensions above and below the surface of perception. 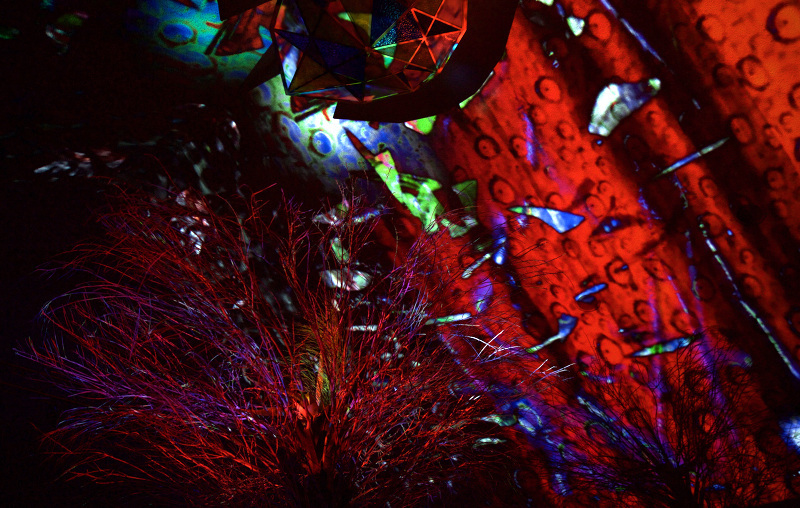 Colliding elements both natural and synthetic are directly magnified into larger than life video projections accompanied by sonic audio compositions. 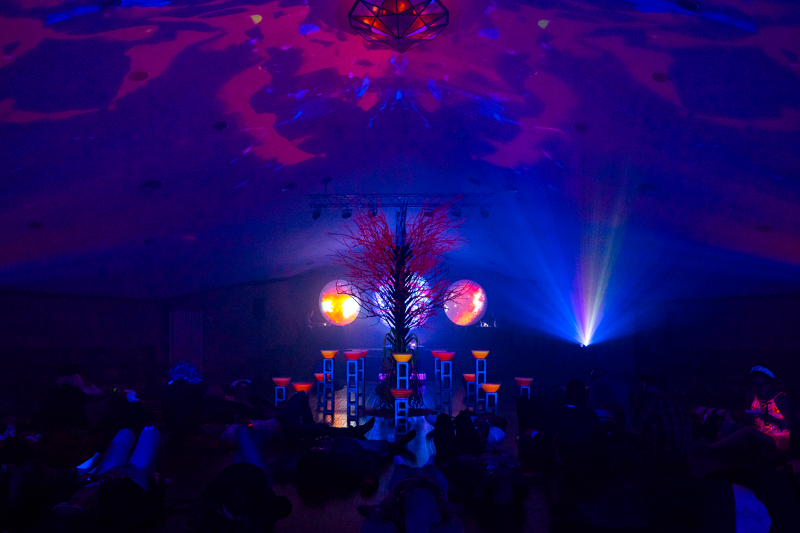 Transformative lighting optics further illuminate Circular Dimensions into a 4D environment where spectators engage within the atmosphere wearing UV reactive eyewear. Cichocki’s work has been featured in numerous exhibitions around the world in such institutions as the Museum of Image and Sound, São Paulo, Bienalle Urbana, Venice, Künstlerhaus Bethanien, Berlin, Casa França-Brasil, Rio de Janerio, Museum of Moving Image, New York, Portland Museum of Contemporary Art, Portland, Museum of Art and History, Lancaster, Palm Springs Art Museum, Palm Springs, Artere-A, Guadalajara, Museum of Photographic Arts, San Diego, MM Center Cinema, Zagreb, Croatia, Desert Daze at The Institute of Mentalphysics, Joshua Tree, The Paseo Project, Taos, New Mexico. Cristopher Cichocki - Circular Dimensions is site-responsive and versatile in scale optimal for contexts such as: museums, theaters, festivals, venues, geodesic domes, private events, and architecturally unique spaces.